TechRadar had a brief chat with THX at Teufel's UK launch event yesterday, and grilled the sound bods about the state of the speaker industry. THX was present at the event, because of the company's committed association to the Teufel brand. Although, Teufel has had little presence in the UK, the launch of the UK website means that we can now grab a taste of its multi-award winning speaker systems, which have the bold claim of being the 'largest offering of THX-certified speakers in the world'. Graham McKenna, senior PR manager for THX, told us why the company was committed to making sure speaker systems for the home were as good as they can be. 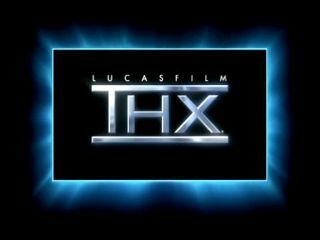 "THX is all about re-creating industry standards in the home entertainment environment. That's why we created a loudspeaker specification that recreates our studio audio experience." He continued: "THX walks a fine line in its processes. The company tries to keep the identity of the speaker manufacturer but, at the same time, the speakers have to adhere to THX's exacting standards." Audio in the home has changed significantly over the last few years with the advent of HD, so we asked McKenna what THX thought of the format, and if its made a difference to home cinema. "Blu-ray is a great format for audio, mainly because it offers lossless audio capabilities," said McKenna. "But the world of audio is changing. We really expect with multi-channel formats – with things like PCs, videogame systems, iPod docking stations – audio has to be good for all systems." This is why THX has developed myriad reference levels for its brand, breaking these down into categories like: Multimedia, Integrated Systems (living room setups), Select/Select 2 (small home theatre) and Ultra/Ultra 2 (massive home cinema setups). And it's not just systems THX has had a hand in. Recently the Blu-ray version of Terminator: 2 – Judgement Day was given THX certification, as were numerous games titles, such as Resistance: Fall of Man. This is set to continue, with Indiana Jones And The Kingdom Of The Crystal Skull the latest BD to get the THX seal of approval. While it's still early days for the company in regards to HD, THX is certainly making the right steps to ensure the company's brand is a badge of honour for "multi-channel formats" everywhere.